After The Help Read. . . I'm always wary when I'm ordering a book online and before checkout, up pops a list of other books: "If you liked __________, you'll like ___________. 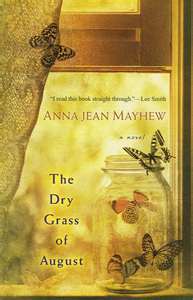 When I first heard about Anna Jean Mayhew's Dry Grass of August, I was told, "It's better than The Help." Since the book came recommended by a friend whose literary taste I trust, I decided to give it a chance to stand on its own. I'm glad I did. 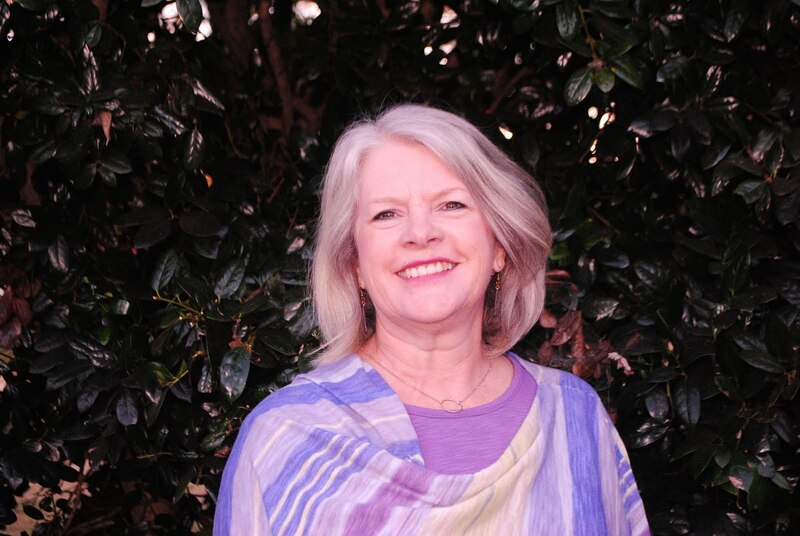 The author Anna Jean Mayhew has the distinction of publishing a first novel at age 71, encouraging to anyone who still hasn't managed to finish that first book. The story begins in Charlotte in the fifties and moves through Georgia to Florida and back as the young narrator Jubie Watts goes with her mother, her siblings, and their maid Mary to vacation in Florida with her mother's brother then toward the Atlantic coast. Jubie, the middle daughter, may at times serve as a naive narrator, but she has a keen enough eye to see through family secrets and human ironies. Mary, her mother's "girl," is a most dignified character, working for the family that knows so little about her other life as a mother, a widow, a church member. As they travel through pre-Civil Rights Georgia, the family feels the edge of threat, especially entering town limits with signs warning that blacks are not allowed at certain times of night. Jubie is aware of the inequities that relegate where Mary can and cannot sleep, use the bathroom, or wade into the ocean. Told from her perspective, the novel reminds me more of Crazy in Alabama by Mark Childers than of The Help. Both certainly examine the wrongs of racism and segregation, but like Crazy in Alabama, this novel's young protagonist has less power to change events, despite her awareness of the wrong in the current racial climate. An underlying plot line, too, involves Jubie's father, a successful business man in town, in partnership with his brother, who has been skimping on quality in order to channel more financial support toward a shady organization of "White Businessmen." The effects of his apparent alcoholism, particularly the resulting physical mistreatment of Jubie, underscore his lack of ethics and morality. The turn of events in the story are more violent, and in some ways more tragic than those of The Help. The Medgar Evans story plays a more minor role in Stockett's book, while the tragedy at the center of The Dry Grass of August strikes the center of the Watts home and the community. Like The Help, this novel offers a perfect opportunity for people of different races to sit down together and work through discomfort to discuss issues of the past that color relationship still today. Mayhew has given the reader characters that avoid stereotypes and has ended on a hopeful note without being trite or simplistic. I rarely begin reading a book without a recommendation or at least a review, but I picked up The Postmistress by Sarah Blake on audio at the library out of desperation (unable to face my daily commute without the option of a book.) I started off slowly at first and had to back up to the beginning when I realized there were actually three main female characters, not one. The main character (at least in my opinion) was not Iris, the female postmaster in Franklin, Massachusetts, a small coastal town not far from Boston, but Frankie Bard, an American journalist who leaves the U.S. for London, reporting alongside Edward R. Murrow. The third woman in the story, Emma Fitch is the petite young bride of the town's doctor, who decides to leave home and serve in a London hospital after losing a mother during a home birth. Told as a flashback by Bard, the book examines the ethics of withholding the mail, particularly when an ill-timed letter may bring incomplete information. Naturally, Iris James inhabits the central location of the book, in some way touching everything that happens to the locals of the small town and privy to all its secrets. Frankie Bard has to walk the thin line between clean, impartial reporting and emotioanl editorializing. Much of the story--at least that outside of Franklin--is set in London during the blitz. Blake presents an unsettling view of the random death and destruction, the fear during the German bombings. Bard also becomes concerned about the treatment of the Jews, insistent on learning more in order to inform Americans, a mission that takes her closer than is safe or comfortable as she travels across Europe, talking to the refugees trying to flee their homes for safety. Blake also addresses the anti-German sentiment that targets an Austrian Jew in town--called "the Kraut" by the locals, unaware of his story and suspecting him of espionage and the genuine fear on American soil of a German attack on the mainland. Blake manages to tell an female side to the war while remaining credible. In her Afterward, she even acknowledges small liberties she takes with her timeline in order to tell the story. The resulting story not only made me aware of some other complex angles of the war, but to consider the role of the post office in American life.